Nudy’s Slimeball 3 is out now. Fresh off releasing his great new mixtape Slimeball 3, East Atlanta rapper Young Nudy is hitting the road. He'll tour North America starting September 8 in Sayreville, New Jersey, with 21 more dates running all the way through December. He'll also play a handful of shows with fellow rising rapper SahBabii. 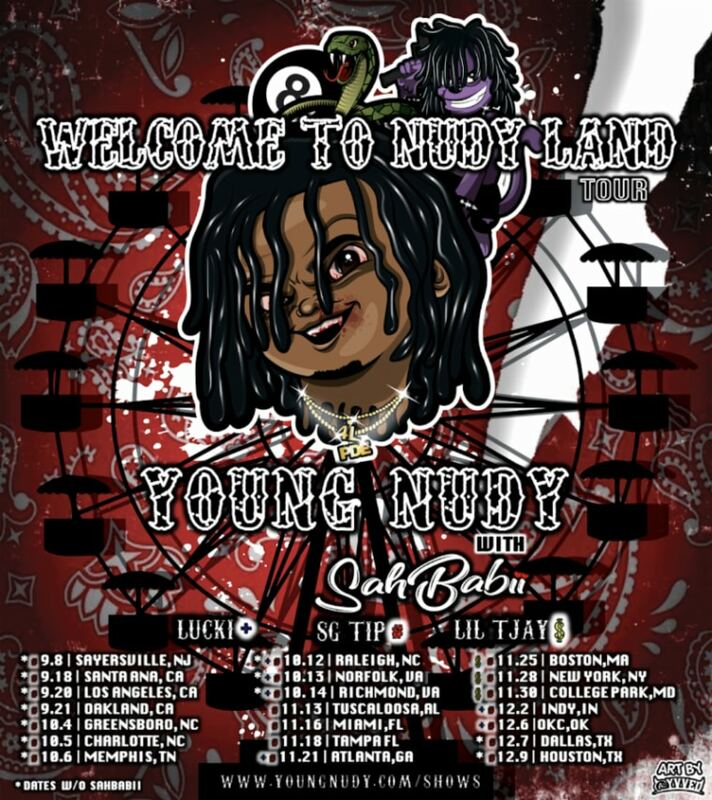 Check out all the tour dates below and read Young Nudy's interview with The FADER here.